Armond White has gotten a reputation as the most contrarian critic out there right now. In case you're unfamiliar, this is the man who knocked Toy Story 3 out of the 100% Fresh status on Rotten Tomatoes, but said of Adam Sandler's Jack and Jill that "Sandler's real dare is to defend ethnicity—not piously but through comedy that has social and political effect..." It appears that White has a curious habit of loving movies which critics and audiences hate, and vice-versa. I'll leave it up to you to decide what to make of that. However, it seems The Lego Movie (which is currently sitting at an impressive 95% on Rotten Tomatoes) was too good for even Mr. White to hate. 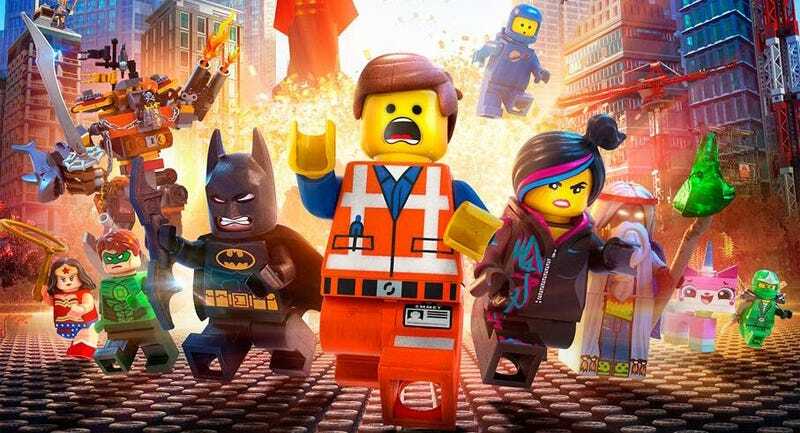 In his review of the film, titled "A Piece of Resistance" White says that "The Lego Movie's capitalist tour de force restores satire to animation." I should also note that, perhaps worried that he wasn't being enough of a tool since he was saying good things about a film people actually like, White gives away a major reveal from the end of the film, so don't read his review if you haven't seen the (terrific) film yet. "Shill critics may praise The Lego Movie as thoughtlessly as they champion Pixar ... but just because reviewers confuse this with Pixar doesn't mean that you should. The look of The Lego Movie is a conundrum but when a Lego William Shakespeare figure threw off his hat and protested "Rubbish!" I chuckled." White has a notorious distaste for Pixar.